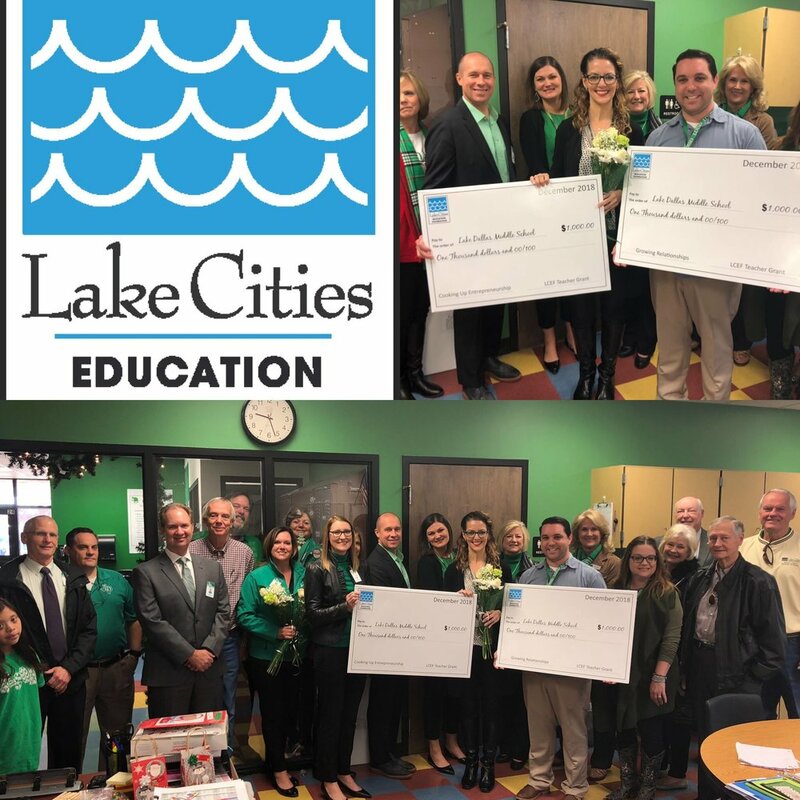 In the third blog post of this series, we are excited to continue sharing more details on the impactful grants Lake Cities Education Foundation awarded for 2018-2019. Each of our equally deserving grantees is doing incredibly impactful work to support educational opportunities for Lake Dallas Independent School District students. A $1,000 grant, the funding supporting the Growing Relationships program will be leveraged to build an outdoor classroom for students at the Lake Dallas Middle School Learning Center. In partnership with the campus 4H program, students will be offered an opportunity to develop their horticulture skills and relationship building abilities through learning to build, plant, and maintain a garden. The grant will be directed by LDMS science teacher Justin Domingue and Life Skills teacher, Kendra Black. In support of the Lake Dallas Elementary School Gym Marathon Kids program, $760 in grant funding will support integration of technology in the physical education classroom. The grant will be led by P.E. teacher Jamie Roach to fund the purchase of equipment to incorporate virtual exercise programs, stream music and show relevant video clips. The Technology Integration in the Gym project offers a creative opportunity to engage students in physical education. By allowing students to build upon their math skills to create 3D printings. The $1,160 grant will also enable Shady Shores Elementary School students to build STEAM into their literacy and math curriculum to develop video content products. Ultimately, the opportunities aim to shed line on how math concepts and skills remain relevant in real world situations students will face in adulthood. The Building STEAM into Literacy and Math program will be directed by Dan Grey, Technology Integration Specialist at Shady Shores Elementary School. 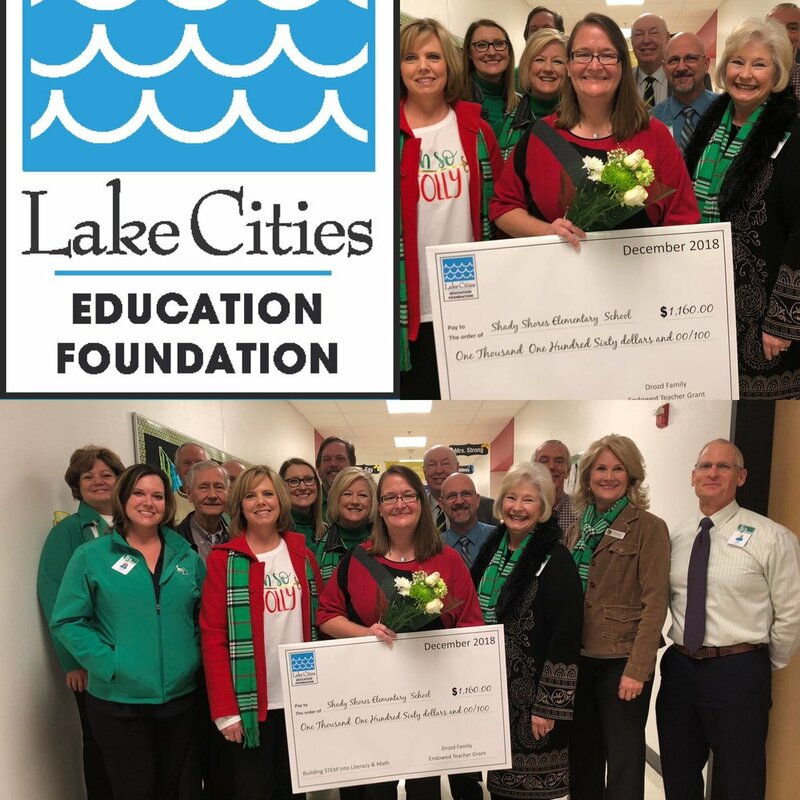 Since Lake Cities Education Foundation had the opportunity to award so many grants for 2018-2019, we will be sharing program-specific details across several blog posts. Each of our grantees shares at least one thing, they will each be using their funding in unique and impactful ways for the benefit of students and teachers across Dallas. A $2,160 grant will be used to purchase five Acer Chromebooks to enable a blended-learning environment for the LDHS Falcon Flight Academy. Beyond facilitating instruction in the classroom, they will also allow for a mobile teaching platform for the instructors. The grant will be directed by Falcon Flight Academy Instructors Ann Hodges, Brandon Wright, Gerardo Castillo, Chloe Callaway, and Stewart Richards. With the intention of bringing learning outside of the classroom, the $5,000 Taking it Outside at SSE grant will create an outdoor classroom space for students. By directly experiencing and learning about nature, the interactive activities planned will incorporate instruction in science, math, language arts, social studies, and art. This outdoor classroom program will be led by Special Education Professionals Amy Koch, Amee Bowen, Kindra Kelley, Lisa Schreck, Michelle Keshler, Carrie McDaniel, Beth Lake, and Dawn Grey. Through a partnership with The University of North Texas Mariachi Band and Lake Dallas Elementary School, this funding will be used to create a Falcon Pride Mariachi Band. Through learning music, the program will also serve to build strong connections between disparate culture heritages. This $5,000 grant will be administered and led by Assistant Principal Arely Potts. A grant in the amount of $2,5000 will be utilized to establish a guided reading library for students at Lake Dallas Middle School. With an underlying goal of cultivating a love of learning, the grant will create opportunities for teachers to effectively select books for small reading groups. Read, Share, Repeat will be led by English Language Arts Teachers Juli Bartley and Anne Waidelich. This 1,000 grant will be used to purchase several standing mixers for students of the Lake Dallas Middle School Learning enter in support of their dog treat business. The program aims to teach students about small business practices, measuring, and math skills. All of the funds raised from the dog treat business will be used to make a charitable contribution to the Special Olympics Team. Stay tuned, our next blog post will serve as the final round-up of all of the grants we awarded for 2018-2019! Lake Cities Education Foundation is proud to announce that we have awarded $30,000 in grants for 2018-2019 to students and teachers in Lake Dallas in support of innovative enrichment projects. We are excited to share the stories behind the figures in our next few blog posts! 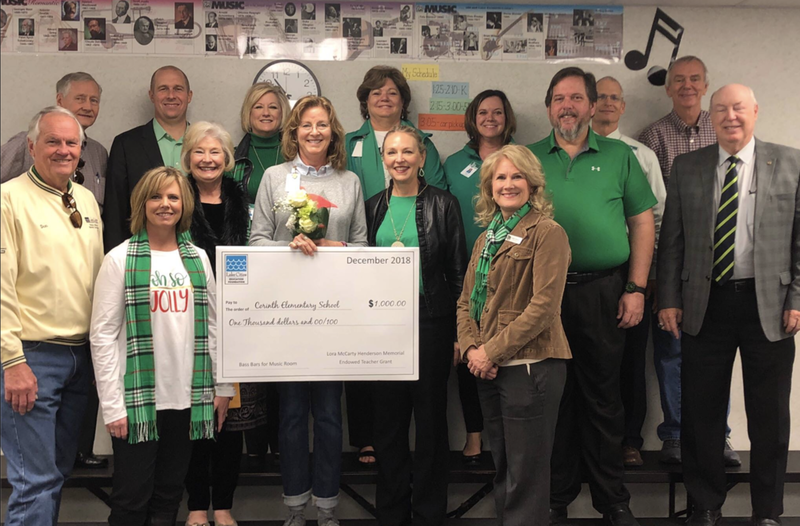 Secured by Corinth Elementary music teacher Melinda Sherrouse and Special Education Lead Teacher Elizabeth Smart, this $1,000 grant will be used to purchase “bass bars” for special education program students. These instruments will allow special education students to participate in the music classroom and provide valuable accompaniment. This $1,500 grant will be utilized to create “sensorimotor pathways” for students in the Structured and Lifeskills classrooms at Shady Shores Elementary School. These pathways appeal to young children and are comprised of vinyl representations of objects in vibrant colors. Students will have the opportunity to maneuver shapes, numbers, and colors as they progress down the pathway. With an emphasis on assisting students in developing phonemic skills, the Phonics at Work and at Play grant has been awarded to Ann Lenard, a kindergarten teacher at Shady Shores Elementary School, who will use the $420 grant to purchase LeapFrog letter and word machines. This is a small selection of the grants we awarded for 2018-2019, we will share more funded programs in our next blog post. Our 18th Annual LCEF Gala and Auction was held on Thursday, November 1, 2019 at the Gateway Center. A roaring success, the gala raised over $80k in funding to support our mission of providing grants and scholarship to the Lake Dallas Independent School District community. It was a packed house with 330 attendees enjoying an evening that featured a silent auction, lively dinner program, and a live auction. The proceeds from this annual program will support LCEF in its ability to provide innovative grants for teachers of the Lake Dallas Independent School District and scholarships for graduating seniors of Lake Dallas High School. LCEF supporters donate their time, treasures, and talents in support of this annual program and our mission. It is only through your support that time and again we are able to raise substantial funds through sponsorships, donations, and the purchase of auction items and program tickets. The live auction was led by the talented Jay Hoffman, from McCurry Auction Services and featured incredible donated items such as a football signed by Hall of Famer LaDainian Tomlinson, a Large Big Green Egg, and a 65 Gallon Yeti Tundra cooler, to name a few! We announced two memorial endowments in memory of longtime, beloved Lake Dallas Independent School District employees, Kent Gladen and Robin Goodale. Kent Gladen served as the Lake Dallas High School Coach while Robin Goodale served as a librarian at Lake Dallas high School. The dust has barely settled from the 18th Annual LCEF Gala and Auction yet we’re already looking forward to next year! Thank you to all of our supporters, fulfillment of our mission to support the teachers and students of Lake Dallas Independent School District would not be possible without you! With our 18th Annual Lake Cities Education Foundation Gala and Auction just around the corner, we’re excited to share a sneak peek of our auction offerings. Through the generosity of dedicated supporters throughout our community, our silent and live auctions and raffle drawing items are shaping up to be the best we’ve had to date! Our auction and raffle items include a wide range of items and experiences that you’re sure to appreciate, including items crafted by students right here in the Lake Dallas Independent School District! LDHS FFA students crafted a modern, six-foot bench that’ll round out any outdoor space while LDMS 4H AgriLife students built a stunning herb planter, that they’ll even deliver and set up for the top bidder! Whether you’re an avid fisherman or hosting a BBQ for the neighborhood, you’ll want to have the 65-gallon Yeti Tundra cooler on hand. Yes, we have one available in our auction! Adventure-seekers wishing to capture special shots may want to check out the black GoPro Hero 7 we have available in our raffle. A few of our other items include a large green egg, a football autographed by NFL 2017 Hall of Famer LaDainian Tomlinson, and even a wakeboard. We will once again be using Qtego – a mobile bidding platform – to enable remote bidding amongst our supporters. We know how busy of a time of year this is for our supporters and have found that this platform enables our friends near and far to get involved in the gala. Bidding on Qtego is easy – simply follow the instructions available here. This sneak peek is just a small sampling of the items you’ll find in our auction. Click here to explore all of the silent, live and raffle items available at our 18th Annual Gala and Auction. Remember, if you can’t make it you can still bid on items straight from your phone! All that we do at Lake Cities Education Foundation is in support of students and teachers in the Lake Dallas Independent School District. None of the student scholarships and teacher grants that we award would be possible without the support of generous business and individuals in our community. If you’d like to join us in driving change, we invite you to get involved in our 18th Annual LCEF Gala! Join us on Thursday, November 1, 2018 for the 18th Annual LCEF Gala and Auction. It’s all in the name of education, after all! This special program will include a dinner, and both silent and live auctions. Whether you’d like to join the LCEF family as an individual attendee or bring your company into the loop as one of our sponsors, we would love to have you. As mentioned, the Gala will feature both a live and a silent auction component. With just over a month until the big night, we are still in the process of building unparalleled auction offerings. If you have an in-kind donation that you think would make for a great silent or live auction item, we would graciously accept it. Our dedicated volunteers make it as easy as possible for donors by finding a convenient time to pick up all donated items. You can submit your donation here. Do you prefer to roll up your sleeves? You’re in luck! We’re always looking for passionate volunteers to ensure that the gala runs seamlessly. If you aren’t available the night of but would still like to lend a helping hand, we have plenty to do to keep us busy in the weeks and days following up to the gala. Regardless of how you’d like to join us in driving change for the Lake Dallas Independent School District, we are excited to welcome you! Contact us today to learn more about current opportunities. We invite you to join us at the 18th Annual LCEF Gala and Auction on Thursday, November 1, 2018 at the Gateway Center of the University of North Texas in Denton, Texas. With over 330 dedicated attendees joining us last year, we are excited to once again take on the challenge of making this our most successful event to-date! Gala sponsors and attendees truly are the cornerstones of making this annual event a resounding success year over year. In an effort to further streamline sponsorship of the LCEF Gala & Auction, we’ve launched a new online process. Becoming a sponsor is as simple as accessing our sponsor page and selecting from the six levels of sponsorship the one that is right for you. Details related to each level can be found on the page. Once you’ve landed on a sponsorship level, click the image accompanying each level to click through to the cart. From the drop-down, select the quantity of sponsorships or individual tickets you’d like to purchase and select, “add to cart.” You’ll then be redirected to enter in basic contact information and the names of those seated at your table, if applicable. If you don’t yet know who will be seated at your table, you can always add that information later via this form. Once you’ve added your sponsorship package, (or packages!) or tickets to your cart, you’ll see the cart in the top right corner of the page, select it to complete the checkout process. You’ll be asked to populate payment information and review your order details before purchasing. Beyond attending the gala, there are many high-impact opportunities to get involved in the planning of the gala. We are in the process of collecting items and experiences to round out our silent and live auction offerings and welcome in-kind donations, large and small! Donating gala items is as simple as clicking here and providing basic donation-related information. Remember, our volunteers are able to pick up donated items from donors. For those willing to roll up their sleeves, opportunities to volunteer in the days leading up to, and on the day of, the program abound! We can’t wait to see you all on Thursday, November 1! 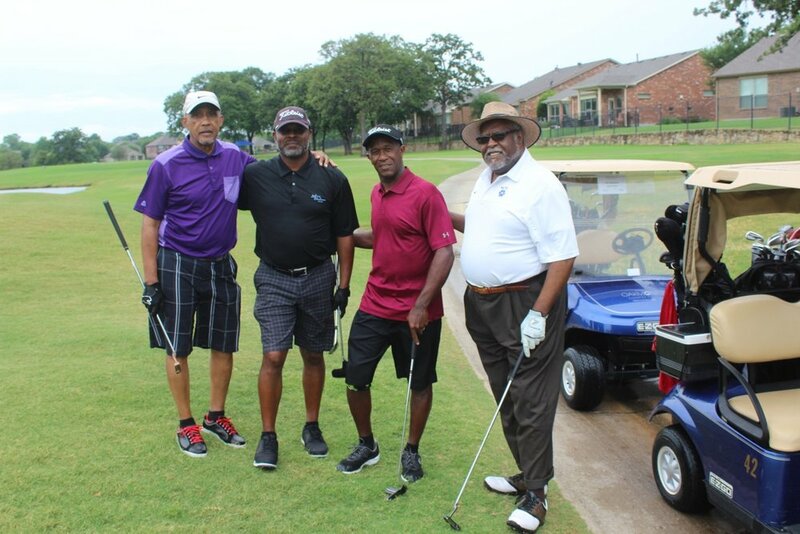 On Monday, June 4 we held our Annual Lake Cities Memorial Golf Tournament at the Oakmont Country Club. In its 17th year, the tournament is a cornerstone of our fundraising efforts. It serves as an opportunity to bring our supporters together and raise considerable funding for deserving students and teachers in our school district. Featuring 168 golfers split between two flights, this was our most successful tournament to-date! Raising $50,000, four-person teams truly had a blast out on the green. The day kicked off bright and early at 8 a.m. with a shotgun start for the first of two flights. The competitive spirit among our supporters was strong as they duked it out for low gross team, longest drive, closest to the pin and Hole in One. While everyone played a great game, we have to take a moment to spotlight the winners of this year’s Memorial Golf Tournament. This full day of healthy competition would not be possible without the support of our generous sponsors, dedicated players and the unparalleled volunteer team. It’s hard to adequately express how thankful we are to all those that joined us and supported us from afar, we look forward to seeing you all once again next year!